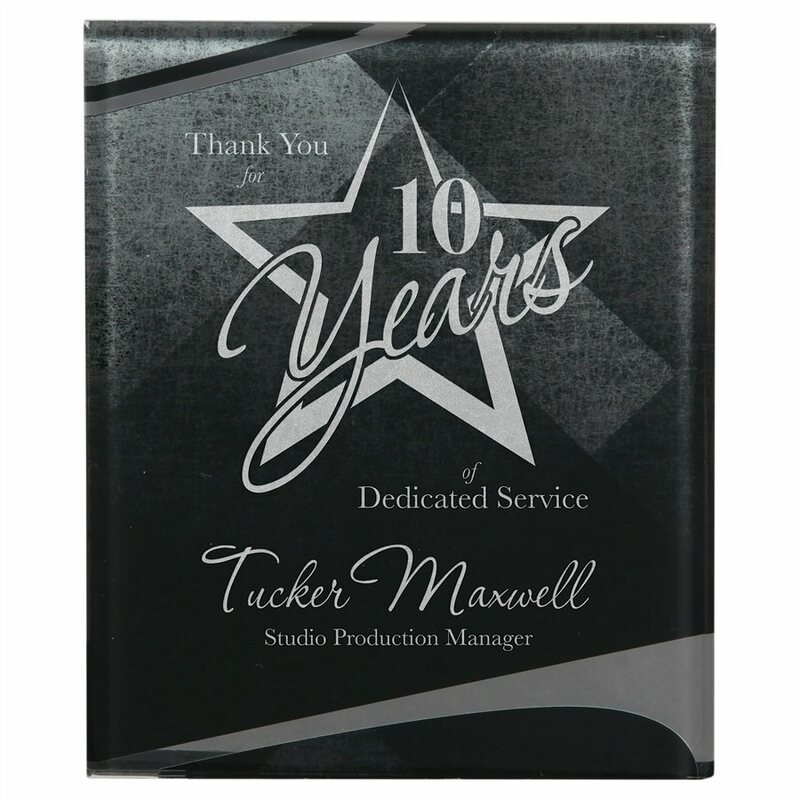 Black acrylic plaque with silver highlights makes an awesome award, free reverse laser engraving gives this 3/8 inch thick acrylic plaque a dazzling look. Before shipping, a proof will be emailed for your approval. 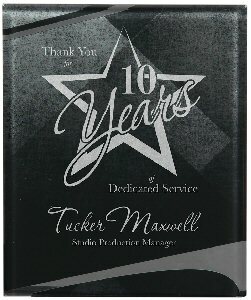 This nice plaque comes individually boxed would make a great presentation.